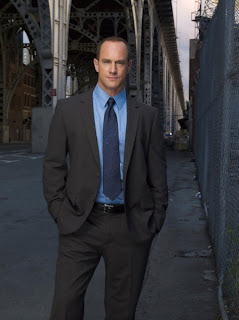 XOXO Jes - Canadian Entertainment News: This guys is leaving Law & Order! This guys is leaving Law & Order! This guy, Christopher Meloni, is leaving Law & Order...I don't know about you, but whenever the show starts after something I have been watching and I forget to change the channel, I can always count on Detective Stabler to be on the scene. After 12 seasons on the show he will not be returning to the show for number 13. Oh well, it's not like he can't get another job. Cop movies are a dime a dozen. He could be in 3 or 4 a year.